Combining yoga flows to lengthen your body, barre to tone glutes and legs, stretching to improve flexibility, core work and guided mediation. If Barre Burn is the Yang, then Yoga Barre is the Yin. If you like yoga, this class is perfect for you. There are no upcoming “Yoga Barre” classes on this day. 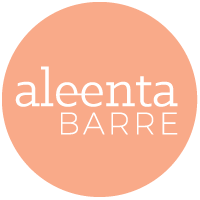 Situated between Spring and Exhibition St. Find the studio by walking through endota spa, please pass through quietly and chill out in the Aleenta BARRE lounge prior to class. Front doors are locked before class starting during morning classes. Space is really average... quite a boring flow, sure you feel the burn but the sequence was a bit odd. I guess it’s the issue when you do yoga in a barre studio and then do exercices that are really far away from a true Barre class, more your basic abs exercices. Teacher was also not really inspiring. Good to try something new, do not do if you actually want to do yoga or barre. Attentive and encouraging. Great workout too! The instructor was lovely, but the flow was very very repetitive boring. Doing a yoga class in a barre studio setting isnt that enjoyable. I think this class would be better if it was far less yoga, and more barre focus. Cassie was friendly. Most exercises were good except for the ones with the ball - the ball is quite distracting when youre trying to get a good workout in a limited amount of time. Great class! The exercise series holding the ball under the knee was too challenging though. Great class tonight! Had a strong yoga component and Chloe gives excellent direction. Its lovely coming down through the Endota spa - like a little hideaway. Shot of probiotic juice afterwards also adds to the good feels. Good mix of yoga, barre, stretching and meditation. Smells lovely when you come through the day spa to the studio.